Climate change adaptation can be understood as a series of responses to climate change current and potential impacts, aiming at minimizing exposure to eventual damages and leveraging potential opportunities. While mitigation refers to an anthropogenic intervention to reduce impacts on the climate system, adaptation refers to the adjustment in natural or human systems in response to climate change and its effects (IPCC). Ideally, there should be synergy between mitigation and adaptation actions. Climate change may cause adverse business results, including downtime, increase in the costs of investments and insurance, and decrease in financial indicators, such as value, return and growth. Such impacts will be determined by the likelihood of climate events to which the company is exposed and the company vulnerability. Similarly to physical risks, non-physical risks also threaten businesses. Those non-physical risks may be, for instance: regulatory risks (eventual regulation on adaptation), reputation risks (stakeholders' perception on adaptation actions), and market risks (changes in consumers' demands or in products and services in the supplier markets). The key to a successful adaptation strategy is to map eventual impacts, prioritize risks and opportunities, and identify the proper adaptation actions to be implemented and monitored. In practice, adaptation involves a mix of response strategies, such as: building climate resilience, extending risk tolerance, and incorporating and allocating losses. Each case will use a different combination of strategies, according to how much risk they are willing to avoid, the organization values and adaptive capacity, besides the possibility to explore opportunities. Long-term investments (infrastructure, buildings, forestation, etc.) 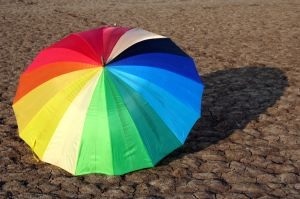 should incorporate flexibility and resilience to deal with expected climate change. To plan the introduction of adaptation measures to match other maintenance and enhancement activities, or to take advantage of non-anticipated disruptions reduce the costs and the downtime potential or disruption of operations and activities. In this context, in 2013, EPC, in partnership with UNFCCC (United Nations Framework Convention on Climate Change), promoted the Latin American Forum on Climate Change Adaptation (in Portuguese), with the main goal to reinforce adaptation actions as part of the strategy adopted by Latin American companies, considering their relevant role in the adaptation agenda. It was pointed out that a business agenda for adaptation should contribute both to avoid risks through reduction of vulnerabilities regarding climate change, and to create new opportunities and businesses. In 2014, following up on that work, EPC has developed, in partnership with the member companies, a Framework to Elaborate Business Agendas to Adapt to Climate Change, as well as a Tool to help implement such Framework. 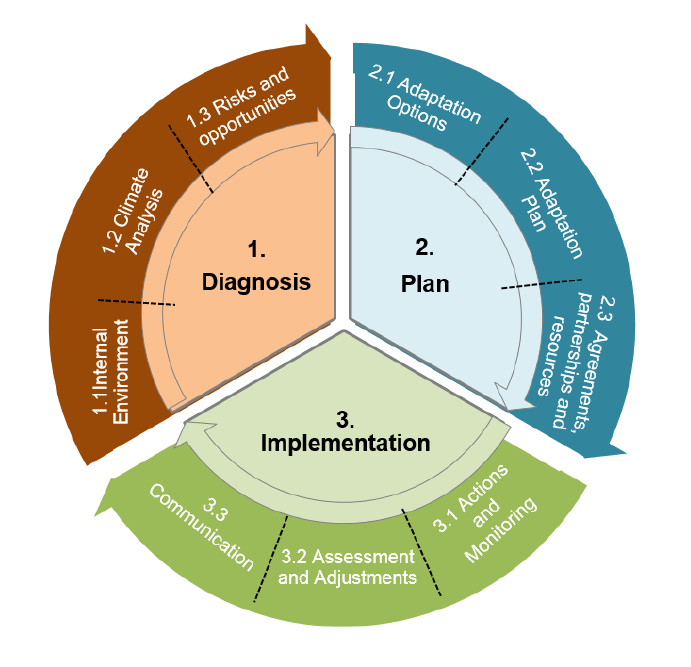 EPC Framework (please refer to Figure 1, below) and Tool are instruments that can be applied to any company, regardless of their size, sector or region where they operate, and they offer step-by-step instructions in order to elaborate a robust adaptation plan, as an integral part of a business strategy. In July 2014, five pilot companies initiated the elaboration of their corporate adaptation strategies making use of the first EPC Framework and Tool version. To learn more about the five pilots in order to elaborate business agendas to adapt to climate change, click here (in Portuguese). In 2015, GVces worked on the “Economy-Wide Adaptation to Climate Change” project, which was developed with the support of the British Embassy, in partnership with the Brazilian Ministry of the Environment (MMA) and the United Kingdom Climate Impacts Programme (UKCIP). The project purpose is to assist Brazil to improve its National Adaptation Policy and to implement adaptation measures reducing climate vulnerabilities in the public and private sectors. To contribute to this goal, the “Business Adaptation Framework” and the “Tool for Business Adaptation Strategies” were reviewed and new versions of these documents were launched, considering the feedback from companies and partners and the extensive experience of UKCIP. Moreover, three new pilot projects are being developed.